TRIPLE TWIN TUNER? - THERE ARE 3x DOUBLE TUNER'S INSIDE! Ultra clear, ultra flexible, ultra versatile: The TECHNISAT DIGIT ISIO STC is the first set-top-box from TechniSat to receive and playback UHD / 4K content on a suitable UHD television. This device supports the latest standards (HDMI with 4K 50 / 60p / HDCP 2.2 / H.265/HEVC) and it plays UHD video files from either a network or USB storage device. For TV reception, the DIGIT ISIO STC proves that it’s ultra flexible and future-proofed with its triple twin tuner for DVB-S / S2, DVB-C and DVB-T2 (H.265/HEVC) tuners. Flexibility also prevails when saving recordings which can be put on USB data devices or directly over network to a NAS drive. The DIGIT ISIO STC operates with ultra versatility over a network proving to a complete multimedia center. The ISIO Internet technology allows access to media libraries, various apps or HbbTV. At the same time the device excites with watchmi Internet theme channels and it can be controlled conveniently via smartphone / tablet via app. 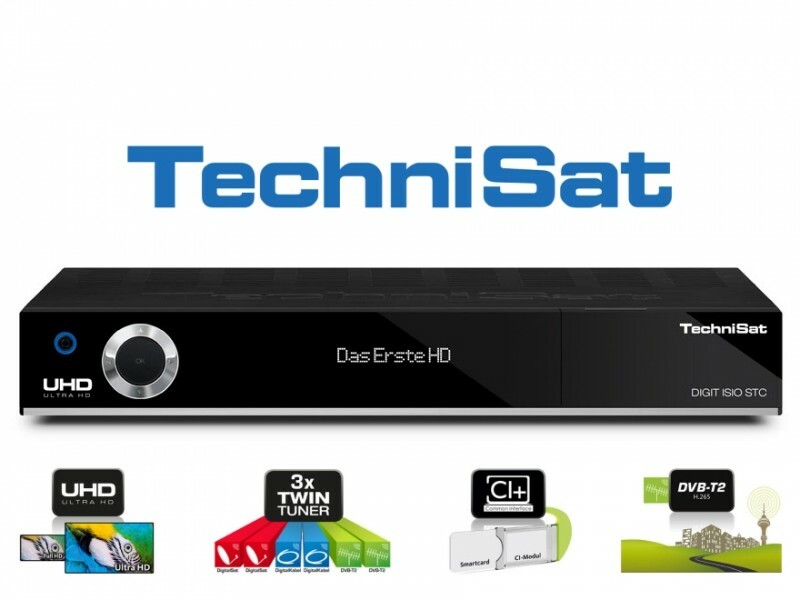 In addition, the receiver is optimized to be used via MyTechniSat Multiplay-app and it plays various files from devices integrated in the network, it will display its own recordings or even provides live TV to other devices connected to the UPnP network. Thanks to support for the latest standards (HDMI with 4K 50 / 60p / HDCP 2.2 / HEVC H.265) processed the receiver (if broadcast) 4K TV via satellite and are the ultra-high resolution images on to a matching UHD / 4K TVs. Moreover, the device UHD files will play from the network or connected via USB 3.0 disks and gives them to a suitable 4K TV again. Streaming functions depending on the network configuration / not support H.264 standards higher H.264 / AVC Level 4.2. With UHD / 4K upscaling can enjoy various contents of non-UHD program sources, such as the standard (HD) -Fernsehprogramm and movies on Blu-ray or DVD, are considered in improved image quality. When UHD upscaling the feedstock is processed and played afterwards in sharp UHD / 4K resolution, which provides for a nearly-UHD display content lower resolution. Devices with triple twin tuner to receive digital TV and radio programs via DVB-S2, DVB-C and DVB-T / T2. The respective tuners are available in duplicate. So even more programs can receive, so eg to watch a program while another program is being simultaneously captures. 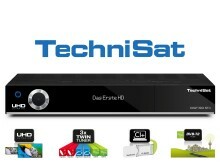 Click the button below to add the Technisat DIGIT ISIO STC+ 4K UHD German Version inc HD+ Smartcard to your wish list.